You're all set! Confirm you want deals for T & B Title of Ellsworth, LLC in -zip-? 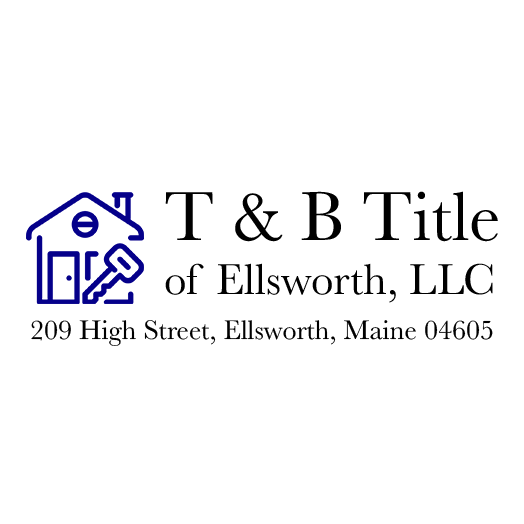 At T & B Title of Ellsworth, LLC, we are committed to delivering FAST, ACCURATE, QUALITY service. Since 2003, we've built strong relationships with real estate professionals throughout Central, Downeast and Coastal Maine. Local, regional and national lenders entrust us with their business due to our exceptional reputation for delivering on-time, accurate and professional closings. Our team can handle all of your real estate, title and closing needs.